Karanda Hospital in Mt Darwin remains one of the most popular health institutions in the country. Patients flock to this hospital from all over the country seeking specialist treatment for ailments such as the common prostate problem, among other afflictions. Head of Karanda Hospital, Daniel Stevens, told The Standard during a visit to the health institution last week that the hospital was dedicated to offering specialist treatment at affordable cost. The reputation of the hospital has seen patient visits increasing to as much as 300 per day although the infrastructure has not expanded significantly. “They come here, I think because of the affordable care that we offer. We are mostly missionaries here and we don’t take a salary. So it is cheaper, we don’t have a lot of overheads which is the case with government. We have staff that works hard and we get the job done basically,” he said. 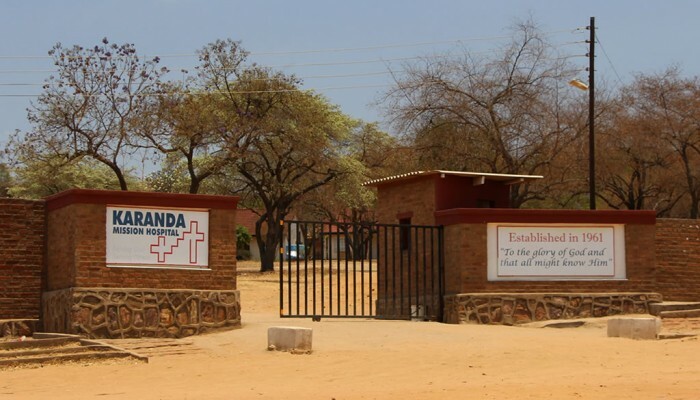 Despite the high demand in services, Karanda has to, like all other health institutions in Zimbabwe, make do with a small workforce owing to the government freeze on recruitment. Stevens said 37 posts that required filling were frozen by the ministry of Health due to economic reasons, resulting in the hospital being short of critical staff including X-ray technicians and physiotherapists. Norman Muradzikwa, whose four-year-old son suffered serious burns after a battery exploded in his hand, undertook a two- hour ride on public transport from Bindura to Karanda to seek treatment for the boy. “I could not go to Bindura Hospital or to Harare because my child would have to spend a week or so without seeing a doctor. There would have been no hope for him, but here the staff is friendly and the doctors come even at night and if you don’t have money they allow you to pay later,” he said. First lady Auxillia Mnangagwa, who visited the hospital last week, said she was pleased with the staff and service at the hospital. “It’s very clean and the comments by patients here are encouraging. It is my hope that all hospitals can begin to appreciate this kind of service and good-naturedness of staff at this mission hospital,” she said. Mnangagwa said her visits to other hospitals had revealed an outcry from patients who were complaining that nurses were rough, negligent and at times did not give them attention. Stevens said the hospital did not have a strong funding base and therefore had to rely on innovative ideas to ensure that it did not go under. “The patients pay for the cost that they use and other than that, we have some donations from overseas. We have container supplies, but those are just erratic,” he said.